Boost was a well established meal supplement brand in the marketplace. Mead Johnson, its manufacturer, decided to launch Boost Sport, a line extension that was targeted to both mainstream and competitive athletes. There were two products in the Boost Sport line, a recovery drink and an energy bar, offering completely different benefits. 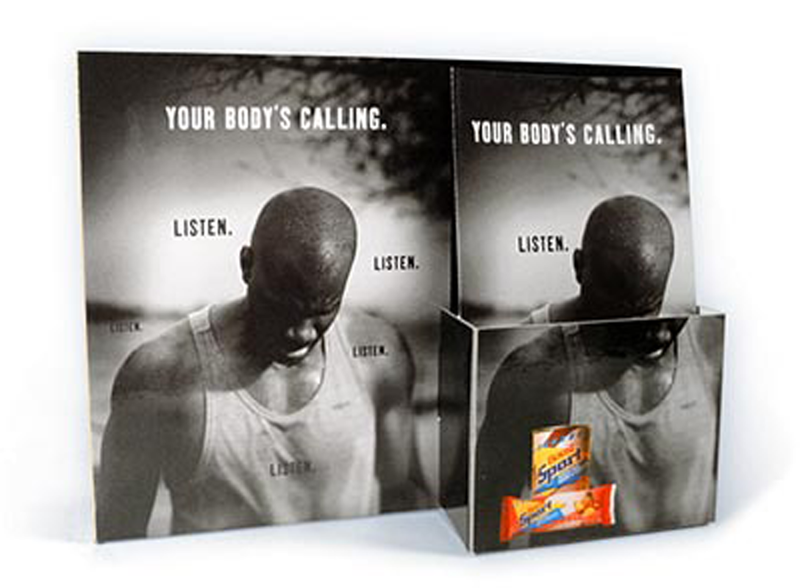 Sparkplug was given the task of connecting the products – and did so under the banner, Your Body’s Calling. Listen. Our approach was carried through all forms of communication and produced healthy results. 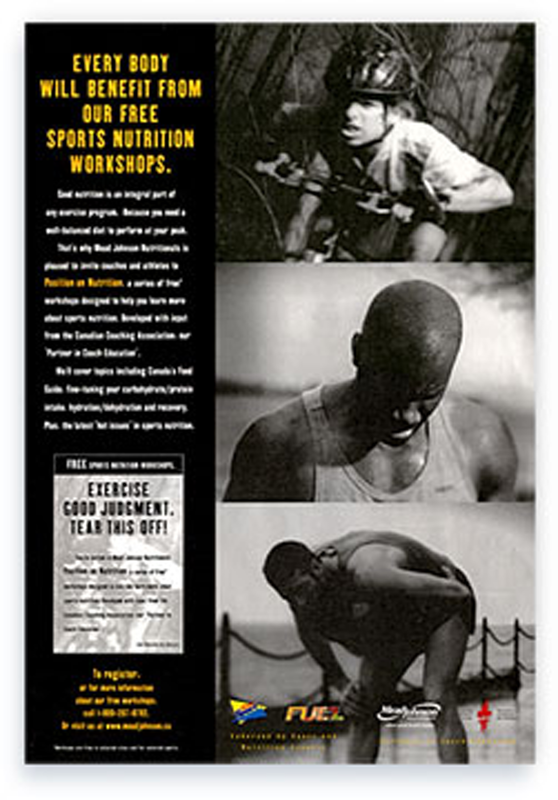 Brochure and holder designed for health clubs and fitness retailers and educational poster focusing on sports nutrition workshops.